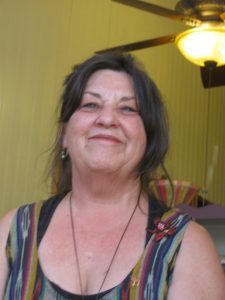 Chrys closed her Aeolian Harp store after nearly 30 years in business to enjoy a more relaxed life style at Manzanita Arts Emporium. She gives piano and music lessons to youth and adults, and is knowledgeable about all kinds of instruments and music. The Aeolian Harp Celebrates 30 years in Calaveras County ! The Aeolian Harp and Chrys Mollett are celebrating 30 years in business! And exhibiting her own artwork in the Gallery. Song Posse meets on many Saturday nights in the gallery: an acoustic open mic. Come for the fellowship, stay for the music; share a few tunes, sing with us, or just listen…. If you have a heartbeat, you can find your rhythm on one of her musical percussion things. If a song or ditty tugs at your heartstrings, try your pinkies on a mandolin, ukulele, fiddle, banjo or guitar. Kalimbas: some of the sweetest sounds to be heard this side of their native Africa. My gratitude and amazement fill me to overflowing. Thank you All for your presence in my store and in my Life! Chrys is a musician and songwriter, a poet, and lover of nature. Come visit her corner at Manzanita Arts Emporium and chat with her about music. She has strings, ukuleles, violins, and other instruments for sale. Downsizing was difficult, but now that she has more time, and still has her music resources and expertise as sharp as ever, she can help you with your musical needs and order what you need. You’ll find Chrys at MAE on Monday afternoons, and all day on Thursdays, and Fridays during the week and other times by appointment. Her days at MAE are Contact her at 209-728-1439 or Manzanita 209-728-6171 or email aeolianharpness@gmail.com. Chrys Mollett was born with Music & Literature surrounding & enriching her world. She started writing songs at 3 (mostly about clouds, peanut butter, and fish) and began studying music at 5. A grateful escapee from the Inland Empire L.A. County, Chrys spent countless summers & vacations growing up in the foothills–picking berries & wild mushrooms and helping a family friend work with a dog sled team that raced up what is now Hwy. 4. Chrys’ Dad was a WWII Marine hero (see bench dedicated to Bill Mollett in front of the Visitors Center), a writer, and eventually was known as ‘the Barbarian of Calaveras County’ as he held one of the largest collections of barbed wire anywhere. A naturalist and musician herself, Chrys’ mother Mary, taught at Mark Twain school for years. Her parents retired to Murphys in the 1970’s; and Chrys relocated here in 1988. Chrys lives on a 5-acre hillside shared with her dog Marley & 2 cats, sundry wild critters and a wide view to die for. Her home is a rustic lodge, dubbed ‘the Chrystine Chapel’, hand-built of local-milled timber gleaned from the Old Gulch Fire in early ’90’s. It is a sanctuary for browsing hungry & thirsty deer, raccoons, squirrels, songbirds, hummingbirds, raptors, frogs, lizards and an interesting array of insects. She sleeps outside under a mosquito net all summer. Her home interests include native & edible gardening, watching the seasons’ cycles, learning from trees and the rocky Mother Lode soil, discovering her own ability to build & repair stuff, dream journaling, painting and doing the NY Times crossword. In books & movies she prefers anything about “intelligent people making difficult decisions.” Chrys’ brother Mike Mollett is a performance artist in L.A., having originated the groups LA Mudpeople and the Karma Bums. His wife Dee works in post production editing for television.